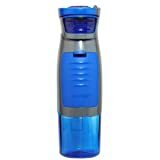 There are a lot of good 24 ounce travel mugs for sale these days and you can really pick and choose whats important to you. 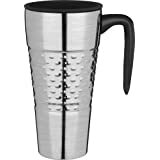 If you really don’t care about quality there are some really in expensive 24 oz insulated mugs but for those with deeper pockets there are a few really awesome tumblers and mugs that can and will keep your coffee hot for a real long time without leaking. It’s easy to say any one particular mug is the best but in real life everyone is going to have their own opinions on what is important and what is best for the money. 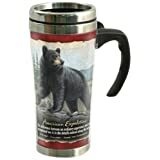 Instead of choosing one mug and labeling it “the best” I’ve looked at all the most popular 24-ounce mugs and listed the top rated of the bunch below. 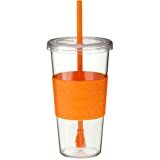 In some cases the mugs below will be insulated beverage bottles instead of true “mugs” and some of the foreign brands might not be exactly 24oz but will fall within an ounce or two in either direction. In addition to the mugs listed above I wanted to give a little extra detail on a few of them below. Please read on. They say that three is a company. While we love to drink coffee alone, maybe when we want to think in retrospect or we just want to have some quality time to think and enjoy the solitude, coffee is also fun when shared with friends. Coffee shops have become a popular hangout for people to catch up with each other. Even families love to spend time in a coffee shop and enjoy each other’s stories. Coffee has such a social effect on people. And when you can bring your coffee anywhere, it can easily turn into a coffee party. Whether you want to enjoy more than a cup of coffee or you want to share with friends, these 24 ounce travel mugs will surely appeal to you. 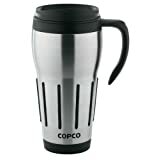 The EcoVessel Metro travel cup is triple insulated with TrimMax insulation technology, meaning that it keeps your drinks hot or iced cold longer than most other mugs. There’s just too many options for travel mugs these days. 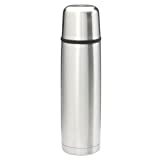 There are stainless steel, glass, a travel mug good for one and some that can serve 3 or more people. When buying a travel mug for the first time, here are some important features you need to remember. Durability. During rush hour, your travel mug could get banged and knocked off. Some models easily break. You want a durable and sturdy one. Easy-to-clean. You will not always have your detergent and bottle brush with you. 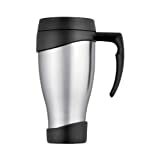 Make sure that your travel mug is dishwasher safe and easy to clean. Excellent heat-retention. You don’t want to drink a cold coffee, unless you initially made a cold brew. 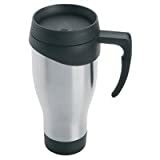 While you don’t expect travel mugs to keep piping hot coffee for the whole day, you don’t need a travel mug that only holds hot coffee for 30 minutes. 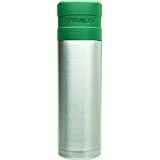 A good insulated travel mugs should keep your coffee warm for a couple of hours. Some travel mugs offer double insulation system. Leak-proof seals. Since you will be travelling, you don’t want your coffee spilling on you or worse, spilling on the person beside. That’s a lot of mess and will cause you unnecessary hassle, not to mention embarrassment. If you are driving a car and bring a travel mug with coffee, the last thing you want is coffee stain on your leather seat. One-hand usability. Get a mug that has a lid that you can flip open with your thumb or an automatic, push-button lid. You don’t want to be unscrewing and screwing the lid back and forth, especially if you are on the wheel. 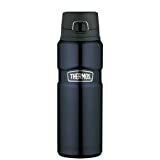 Also make sure to see our page covering 20oz travel mugs as well as out general page for large travel mugs in the 20-60oz range.